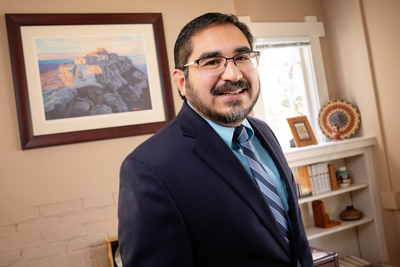 Matthew Sakiestewa Gilbert is a professor and the director of the American Indian Studies Program at Illinois, as well as a professor of history. 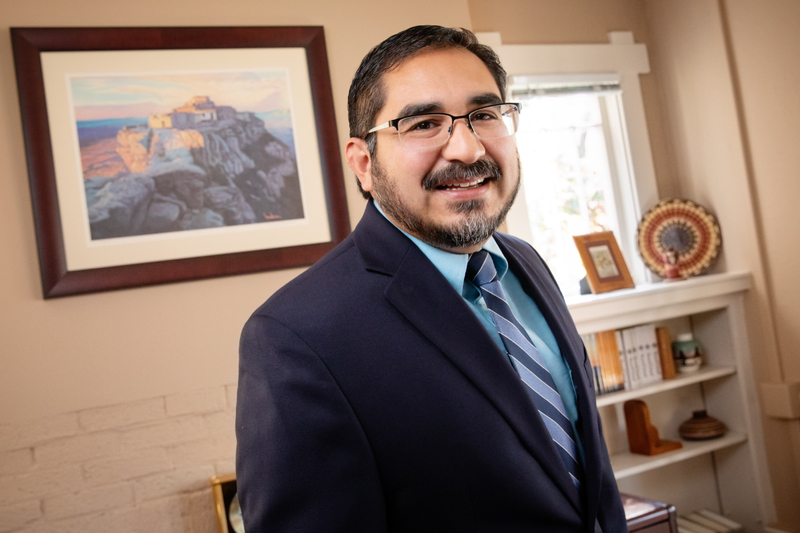 “Hopi Runners” is published by University Press of Kansas. 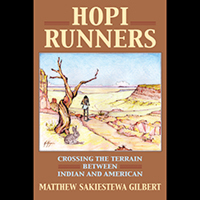 It’s the story he tells in “Hopi Runners: Crossing the Terrain Between Indian and American,” being published this month. Running runs deep in Hopi culture for a variety of reasons, Gilbert said. It was a means for messaging between villages and for travel between homes and fields, especially since the rocky and steep terrain of the Hopi mesas never favored the horse. “Running was always considered to be a trustworthy mode of transportation for the Hopi, and they became very, very good at it,” he said. The Hopi students arrived at Sherman and other boarding schools already as runners, Gilbert said, but they faced significant challenges. They had to learn to run in new conditions and in new ways – in city streets rather than on wide-open mesas; in athletic shoes rather than in thin moccasins or barefoot; for school, team or country rather than their people or clan.